HERE in the heart of the Côte de Beaune, the epicenter for white Burgundy, vignerons in their cellars are offering samples of their 2010 vintage, which is aging in barrels, and pouring tastes of their 2009 wines, which for the most part have just been released. 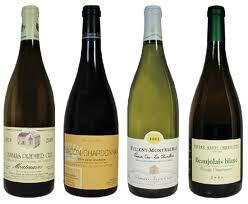 But if you love white Burgundy, lean in close, because I’d like to whisper a suggestion: stock up on the 2008s. Not only here, but from Chablis in the northwest to the Côte Chalonnais and the Mâconnais to the south, the 2008 vintage was cool and somewhat rainy, not at all easy for the growers who had to ward off rot in the grapes. For consumers, though, 2008 yielded a trove of wonderful wines, racy, lively and full of the mineral flavors prized by white Burgundy lovers. Most conspicuously, the wines are charged by lightning bolts of acidity that give them a surging energy and freshness that I, for one, find captivating. Best of all, even as the 2009s come onto the market, the ’08s are still widely available, and are often good values.